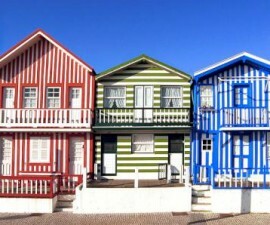 Aveiro offers a beguiling mix of urban sophistication and rural charm, making it a popular choice for visitors in search of diversity on their trip to Portugal. Of course the city centre is a must-visit destination for its many attractions and historical buildings, but the Sao Jacinto Natural Reserve makes the perfect antidote to the city hustle and bustle, and is the ideal destination for those looking to discover the natural wonders of the area. 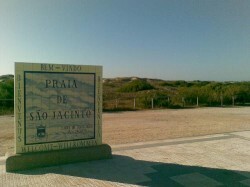 The Sao Jacinto Natural Reserve is located in the area covering the northern side of the lagoon and estuary mouth, flanking the Atlantic on its western side, reaching across the lagoon to the east and stretching northwards away from Aveiro, into the untamed rural landscape beyond. There are several ways to reach the Sao Jacinto Natural Reserve — either by car, by circling around the lagoon in an anti-clockwise direction, or by ferry. The latter is the transport of choice for the majority, who relish the opportunity to see Aveiro from another perspective, and to experience the tranquil waters of the lagoon as they cross it to the northern banks. Ferries run throughout the day from a port no too far away from the city centre, and also reachable by car or by bus. Sao Jacinto is characterised by its rolling dunes, peppered with grasses and creepers, which are home to a plethora of birds, insects, small animals and unusual flowers and plants. 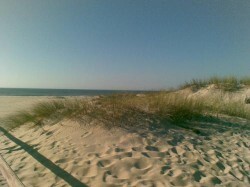 The area is a designated Natural Reserve in order to protect its unique ecosystem and encourage the many species to flourish. The reserve is integrated into the larger ecosystem of the Beira Litoral region, which is populated with ancient woodlands and wide expanses of wetland areas, and occupies a large area in its own right. 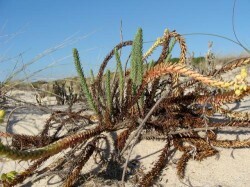 Much of the woodlands in the Sao Jacinto reserve were planted some hundred years ago in an effort to protect the inland areas beyond from sand being swept in on the Atlantic winds. The wide, wetland expanse was in fact completely immersed under water until the ninth century, after which time a line of dunes began to develop, creating the Aveiro estuary and ultimately closing it off to form a lagoon by the eighteenth century. This prompted the decision to create a canal to enable the estuary to once more flow out into the sea, and so the Aveiro canal system was born. The Sao Jacinto Natural Reserve is a pleasant area simply to come and take a stroll, spot the many species of flora and fauna, and listen to the sound of the sea being carried over the wetlands on the sea breeze. For nature lovers, however, there are a number of interesting trails which are marked out and are interesting to follow. Of course many visitors come to Aveiro in summer, when it is a delight to explore this combined forest and marine habitat. However, it is also of interest in winter, especially to bird lovers who will enjoy observing the many species that occupy the lake during the low season, having migrated from other areas. One of the best ways to observe the birds is to do so from a Bateira, a traditional boat which provides a peaceful observation platform from which to admire the natural wildlife. Bird species found in the lagoon and throughout the Sao Jacinto Natural Reserve include the Small Egret, Large White Heron, Purple Heron, black Stork, White Stork, Flamingo, Sandpiper and the Swallow. Choose a reputable boat and you will find yourself in the company of a knowledgeable, English-speaking guide who is native to the area and a veritable mine of information about the flora and fauna of the Reserve. Don’t forget to take a camera with you as there will be some unrivalled photo opportunities on board. A typical boat trip may last around three hours, and you will usually find binoculars provided. 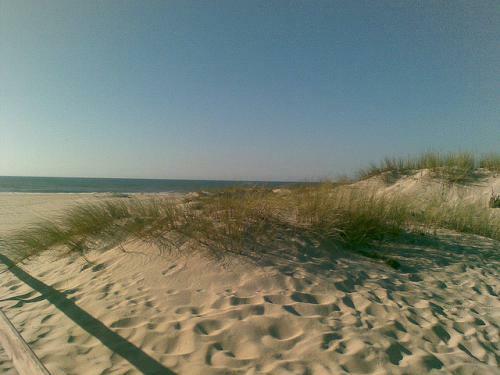 Picnics are optional, but a stop to enjoy your lunch in the beautiful tranquil surroundings of the Sao Jacinto Natural Reserve sand dunes is highly recommended. The entire reserve takes up an area of some 700 hectares, made up of woods and groves of trees as well as the three-and-a-half kilometres line of sand dunes, which is the only one of its kind in Portugal. 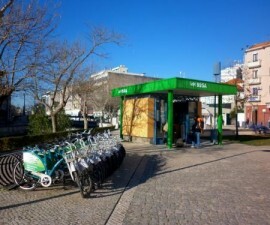 These are reached via a wooden boardwalk from the lagoon shores and it is well worth taking the trouble to do so in order to get the best out of your day of sightseeing in Aveiro’s splendid natural reserve.